This Double Sided Lightbox is Made of Aluminum! Illuminated Sign Holders are Affordable! 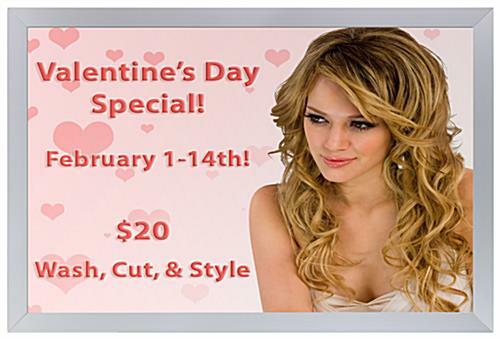 Place an Order for a Double Sided Lightbox Now! 24" x 36" Posters printed on translucent material are brightly illuminated by LED lighting. 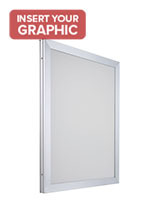 Center panel with vinyl diffusion grid evenly disperses light throughout the viewable area. 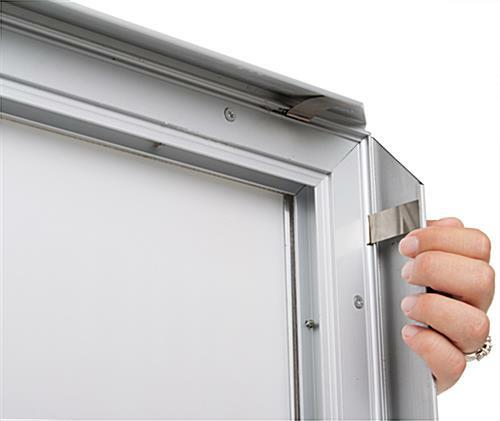 Satin silver finish on the aluminum construction is highly durable and professional looking. Polycarbonate lens protects the graphics from damage. Quick clip frame for fast and easy print changes. 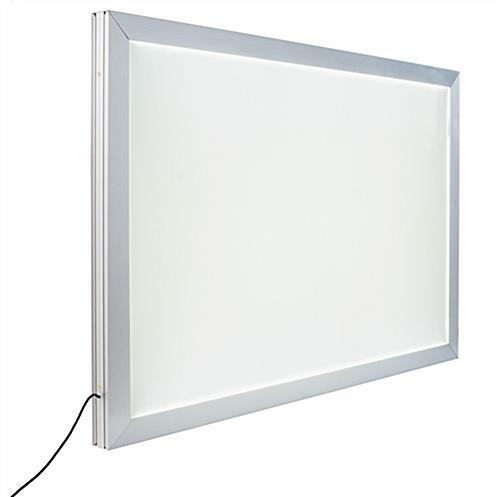 This LED sign holder is a double sided lightbox that has the snap open frame. 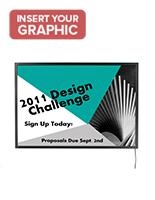 The clip design is for fast and easy sign updates, which is ideal in any business. Each poster frame is a double sided lightbox that is made of aluminum. The high quality aluminum is for years of use. This double sided lightbox has a silk screen acrylic LGP [light guide plate] for even distribution of the light to prevent hot and cold spots. 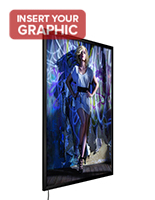 Although there are different styles of LED print displays on the market, few compare to this large snap frame. Showcasing (2) 24" x 36" posters is ideal for maximum visibility and combined with the durable construction and ease of use of these items, it's no wonder so many consumers prefer them over the competition. 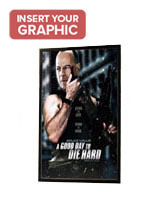 This 24" x 36" double sided lightbox is for translucent posters. Other images will not give consumers the same illumination effect. 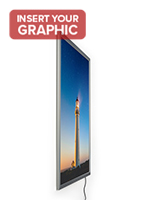 This double sided lightbox, known as an LED poster display, is for exhibiting (2) 24" x 36" advertisements in a business setting. There are many venues that these units can be used including train stations, malls, travel agencies, and more. Each illuminated sign display is a double sided lightbox that can be used in a window using the included hanging kit. 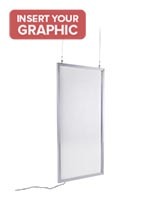 Lighted advertisement holders are very eye-catching to consumers passing by a storefront. 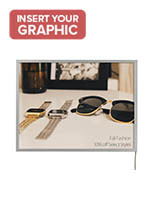 This double sided lightbox is versatile since they can be displayed in either vertical or horizontal layout. Each sign holder has a clear polycarbonate panel on each side to guard the graphics from getting torn or damaged. The LED technology in this double sided lightbox uses less energy than fluorescent lights. In addition LED bulbs will last longer, so overtime they will pay for themselves. Please Note: It is strongly advised to unplug the units each night. 26.8" x 38.8" x 1.8"